Listen to this home exercise programme for improving your mental health and fitness. 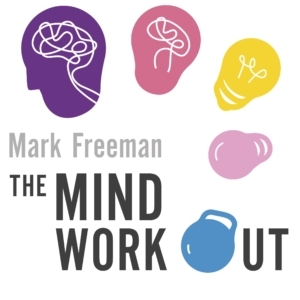 Developed as a result of Mark Freeman’s own recovery from mental illness, The Mind Workout combines mindfulness, Cognitive Behavioural Therapy (CBT) and Acceptance and Commitment Therapy (ACT). The audio explains twenty easy-to-follow steps you can take to free yourself from the ways of thinking and behaving that cause mental health challenges in your life – from cutting out the compulsions that cause uncertainty, anxiety and distress to relieving stress and distraction.